“Fishery people” and a “tengu” are drawn. 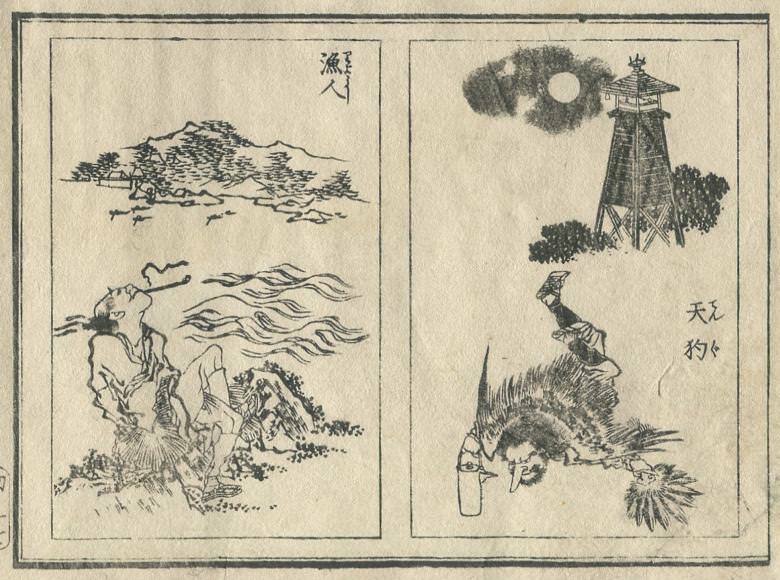 “Fishery people” is fishermen, and it is relaxing with the picture, steaming tobacco. Since the place in character with a fishing village is also visible to a distant view, it may be the relaxation before returning. The “tengu” is drawing a tengu who has jumped down from the top. Is it an air of the supernatural creature who a background like the sightseeing tower of a moonlight night also has, and flies about darkness? It has a fan of Araliad in a left hand, and, probably has alcohol in the right hand.